The Unionised Staff of the Bulk Oil Storage and Transportation (BOST) Company Limited have mounted a spirited defense for the Managing Director of the company, Mr George Mensah Okley, . They commend him for his ‘stellar’ and impressive leadership since assuming the office. According to the unionised staff of BOST, claims about the MD being self-centred and running down the company are untrue. The defense was made in a statement jointly signed by Mr Abdul Rahman, Senior Staff Chairman; Mr Ekow Sey, Senior Staff Secretary; Mr Louis Doe Anku, Local Union Chairman; and Mr Peter Akoma Agyarko, Local Union Secretary. The unionised staff described Mr. George Mensah Okley as a hardworking and result-driven individual. “It takes a rare breed of individual in Ghana to decide to work with people based on their competence and integrity; and not on one's political affiliation,” the statement added. The vote of confidence by the staff is on the back of some recent media publications that accused the Managing Director of running down the company. The statement said, “any right-thinking person who has the corporate interest of BOST at heart should applaud Mr. Okley's exemplary leadership and not to condemn him”. Our attention has been drawn to a statement from some faceless individuals circulating on some media platforms that seek to deliberately bring the reputation of the company and that of the Managing Director (MD) and some employees into disrepute in order to satisfy their parochial interest. Inasmuch as we are not in the habit of dignifying every faceless statement with a response, we are moved to respond to this because of the conscious efforts of the faceless people to tarnish the image of the MD. We, Unionised Staff of BOST categorically distance ourselves from the obvious political orchestrated petitions and statements and also urge Ghanaians to equally treat same with the contempt it deserves. We want to tell Ghanaians that the Managing Director of BOST; George Mensah Okley is one of the most hardworking, result-driven and fair minded Managing Director to have come to BOST and we the Unionized Staff are fully behind him. For starters, it takes a rare breed of individual in Ghana to decide to work with people based on their competence and integrity and not one's political affiliation. Any right thinking person who has the corporate interest of BOST at heart should applaud Mr. George's exemplary leadership and not condemn him. 1. Great advancements in securing funding and technical partners to upgrade BOST depots, restoring integrity in our operations at all BOST depots. We expect that this will raise our HSE to glob al standards. 2. A better and clearer relationship with the Bulk DISTRIBUTING COMPANIES (BDCs) has been established and this has further business to the company thereby giving the company a competitive edge over competitors. A typical example is the execution of through put agreements with almost all BDCs and collection rate of through put fees has increased from 43% to 96%. 3. Strategically, BOST is currently negotiating the purchase of a Depot in the Western Region with a Ghanaian Bank to free some private interests and to have some presence in that part of the country. 4. The acquisition of the VRA depot as a foundation to the petroleum plans in the Western Region. We are also planning on building an LPG network to support the delivery of government's cylinder Recirculation Model. The success of the restructuring the company's debts with the MOF will enable this take off soon. 5. The MD has successfully renegotiated and is at the stage of shipping into the country pipelines to refurbish the existing degraded pipeline between Accra plains depot and our transit depot in Akosombo. The contract has been awarded and the project will start within the next couple of weeks. This is a milestone in the history of the company because these pipelines were locked up in Houston, USA for the past ten years and no previous BOST MD was able to do what he has done within his short stay in office. Under our current MD, BOST seeks to forge strong alliances and build confidence with the Banking and investment community. The good news is that we are well on course to achieve this milestone as well with excellent financial practices and compliance with regulations. 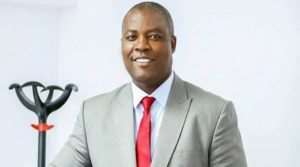 Following the above policy direction of the company under the leadership of the MD and his competent Board, it is therefore important that Ghanaians, the government and workers at BOST avoid paying attention to rumour mongers in order to give the hardworking MD the peace of mind to carry out the policy that he has initiated. This will serve BOST and Ghana greatly in the long run.